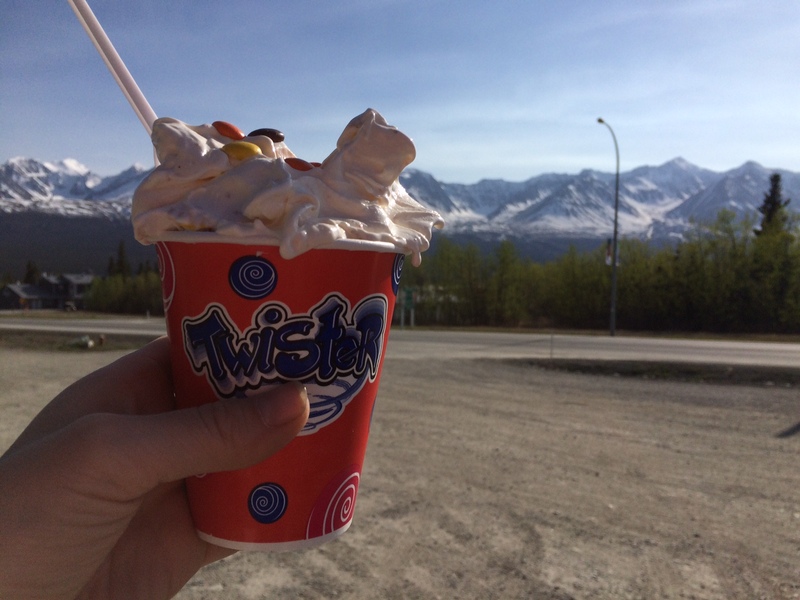 In just over a week, I’ve been to Frosty’s in Haines Junction twice. The first visit was last weekend as we were hiking in Kluane with some friends in from Vancouver. The second was during the drive home from Haines where we spent the weekend for the beer festival. Frosty’s was especially busy yesterday as we were not alone in planning to stop for some soft serve ice cream after a weekend of drinking. 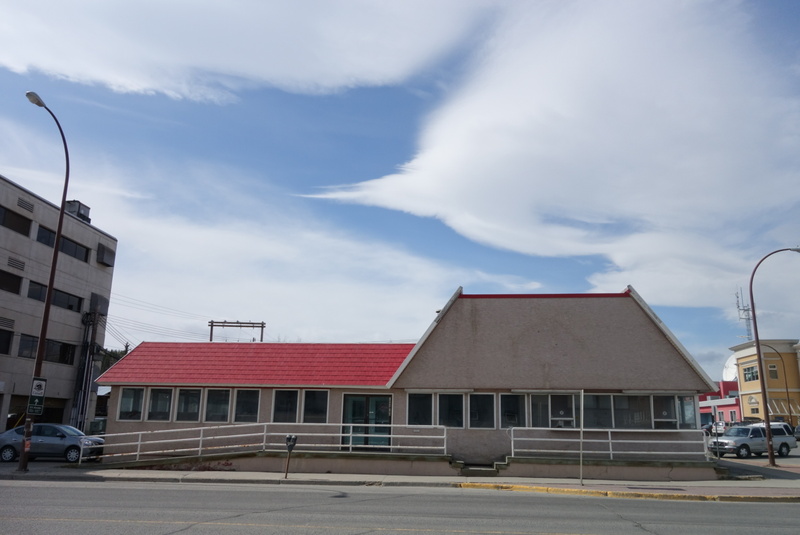 I also wonder if the lack of a Dairy Queen in Whitehorse has people jonesing for soft serve and blizzard-like delicacies. Seriously, I walk by this all the time and it makes me sad. 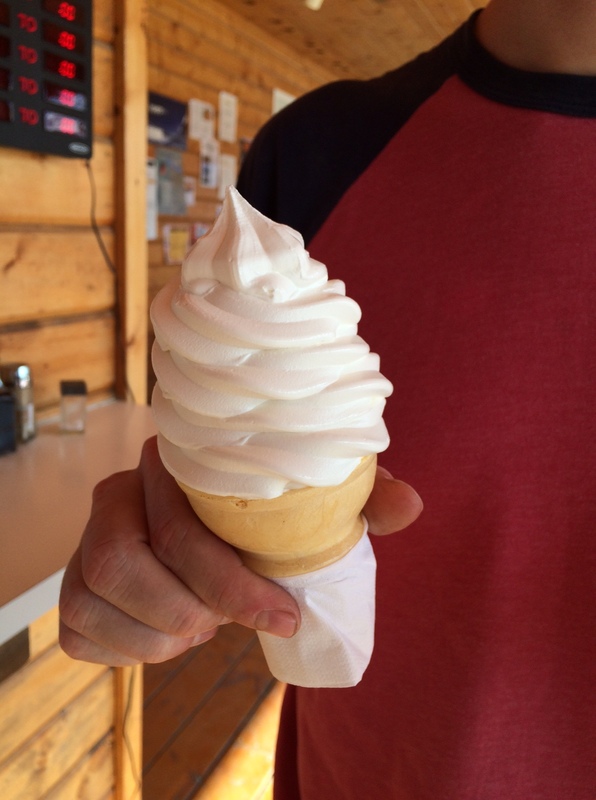 With this very early Yukon summer weather that is setting records and (unfortunately) setting the stage for some pretty bad forest fires, ice cream is the only thing we’ve tried at Frosty’s. Ice cream is all I want most of the time. Between the two visits, I’ve had a chocolate dipped cone and a Reese’s Pieces Frosty (note: I used to love Reese’s Pieces Blizzards, but I don’t think Dairy Queen has done them in years. I’m now a Skor supporter if I’m south of 60). My husband has opted for plain soft serve both times. I can’t complain with the amount of ice cream I got. Likelihood of return visit: I like ice cream. My husband loves ice cream. So.. yeah. 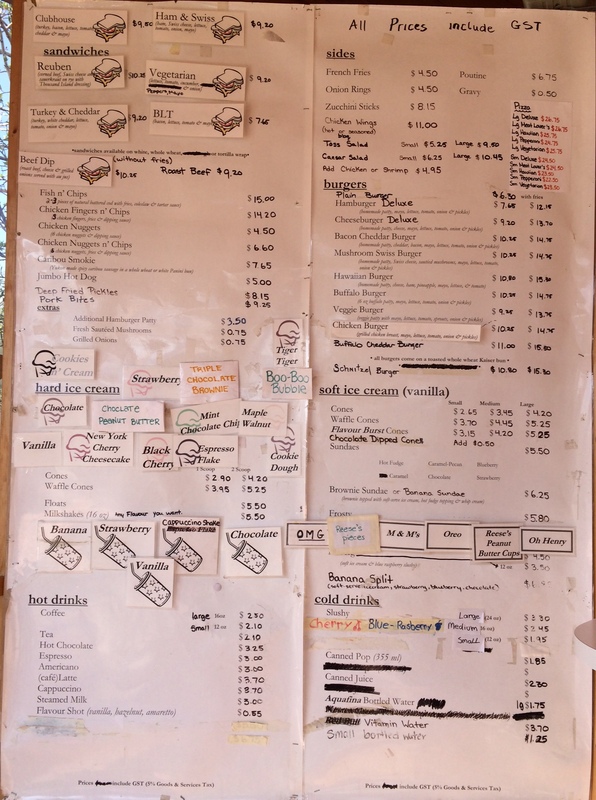 Posted in Outside Whitehorse, Visit and tagged Communities, Dairy Queen, Dessert, Haines Junction, Ice Cream, Soft Serve, Visit, Yukon. Bookmark the permalink.